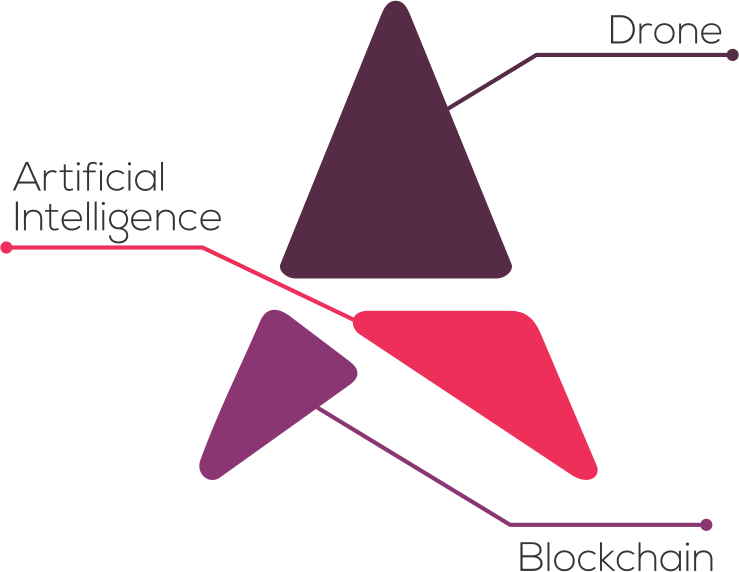 DEEP AERO is a platform that uses the Al and block chain technology to build an autonomous drone economy which affects the urban transportation system by bringing on demand aviation and cargo delivery at your fingertips. The evolution of drones has gone beyond the military use it was put to, it has become a powerful business tool. DEEP AERO’s bounty program aims to broadcast the DRONE-UTM and DRONE-MP projects to as many people as possible. Through the bounty program, participants can help us spread the word about our revolutionary new platforms and get rewarded for it. In the DEEP AERO ICO, there will be 5,000,000,000 DRONE tokens issued in total. As bounty rewards, we will distribute 150,000,000 DRONE tokens, which equals to three percent (3%) of total DRONE tokens issued in ICO. Bounty Program is governed by the Bounty Program Terms and Token Sale Agreement and anyone participating in the Bounty campaign agrees to all terms and conditions laid out in the Bounty Program Terms and Token Sale Agreement document. For more information regarding Bounty Program, please join DRONE Bounty Program Telegram Channel. After you have signed up, just spread information about DEEP AERO ICO in crypto-community as wide as possible by following the simple instructions in this post. 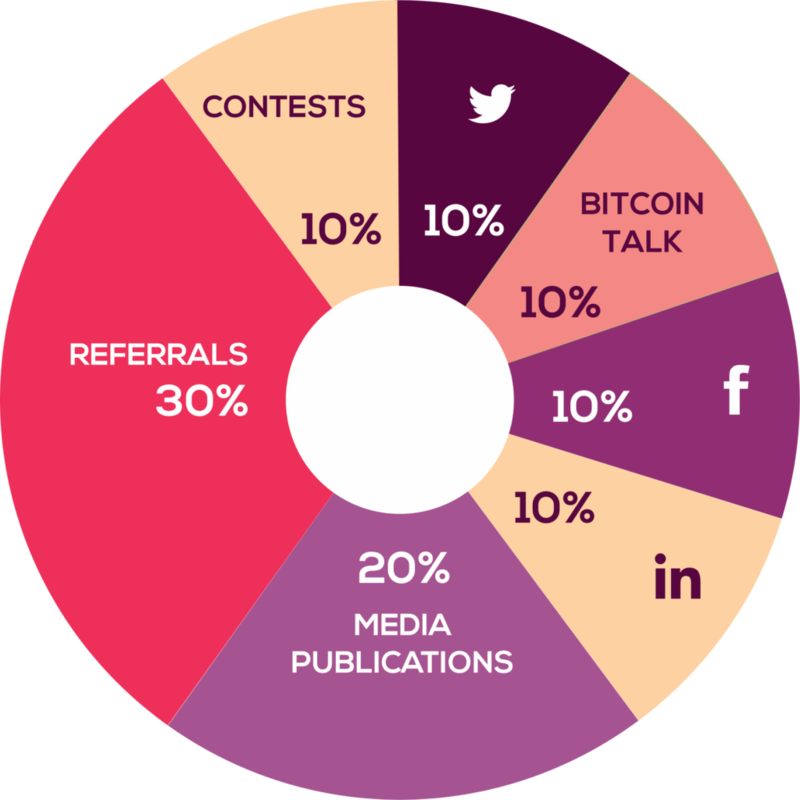 By completing bounty tasks, you will receive bounty-points, which are divided in the following categories: Twitter, Bitcoin Talk, Facebook, LinkedIn, Media Publications, Referrals and Contests. At the end of ICO we will distribute 150,000,000 DRONE tokens proportionally to your bounty points in each category. Step 2. Like and retweet posts marked with #DEEPAERO #DRONE #ICOfrom our official account within 3 days after their publication and do not delete them until the ICO ends on July 31, 2018. All reposts must be public. The account must be at least 4 months old. The number of your followers will be fixed when you sign up and doesn’t change during the campaign. NOTE: We count ONLY the posts that are marked with #DEEPAERO#DRONE #ICO by our team. If you add our hashtags to other posts, they will not be counted. Step 1: Upload the signature and avatar provided by us and write at least 15 constructive posts per week. Post at least 1 constructive and positive post a week in the DEEP AERO ANN thread. We will fix your rank when you apply and it will not be changed. You need to write at least 50 posts per week to get signature rewards. We will ban and not send DRONE tokens to spammers and multi accounts. You will get points for Avatar only as an addition to signatures. If you receive negative trust or ban during your participation in our campaign, it will result in you being disqualified from our campaign and you will not receive any points or tokens. If we observe that you’re making a lot of spam posts, you will be removed from the campaign and not receive any points or tokens. Step 1. Follow our official Facebook page. Step 2. Like and share posts marked with #DEEPAERO #DRONE #ICO from our official account within 3 days after their publication and do not delete them until the ICO ends on July 31, 2018. All reposts must be public. The account must be at least 4 months old. The number of your friends is being fixed when you sign up and doesn’t change during the campaign. Step 1. Follow our official LinkedIn page. Step 2. Like and share posts marked with #DEEPAERO #DRONE #ICO from our official account within 3 days after their publication and do not delete them until the ICO ends on July 31, 2018. This is an exceptional opportunity for members of media and influencers. You can help us create an article or video blog on a popular media website or outlet. For example, you can write an article about DEEP AERO in Forbes, Coindesk, Bitcoinist, or in any other media relevant to drones and cryptocurrency. We will classify each article as standard (500 points), good (2,000 points) or extraordinary (5,000 points) depending on the media outlet and it’s reach. Please email: bounty [@] deepaero.com if you are a media publisher or an influencer. You can help us translate the Whitepaper, ANN thread and help moderate the ANN thread. Translations must be original, using any kind of translation tools such as Google is not allowed. The translator will be blacklisted if found using any such tool. We do not need any single post dead threads. If you fail to keep the thread active and up to date, your reward can be reduced to 50% of the actual payment or you could simply be disqualified. Increasing the moderation post count by spam posts, posting false posts or paying other to ask questions in your thread is not allowed. [IMPORTANT: You have to send PM for approval to WAPINTER and get approval prior to starting of your translation work. When you sign up for the Bounty campaign, you will receive a unique referral code. You will get bonus tokens for all the referrals who use this code to purchase DRONE tokens. The person who uses your code to purchase DRONE tokens will also get an equal bonus. We will close this activity as soon as maximum limit is hit. Step 1. Join our Bounty Program Telegram channel. Step 2. Participate in the daily and weekly contests that are announced in this channel and submit your entries. After the ICO ends, your final amount of points will be visible in your DEEP AERO account. We will distribute 150,000,000 DRONE tokens in proportion to the amount of points each bounty campaign participant has earned in each channel. For example, after counting all Twitter retweets, we will make a table where everyone who reposted will see their personal bounty points earned in the Twitter category. Since there are 15,000,000 DRONE tokens dedicated to the Twitter category, those tokens will be distributed between all members participating the bounty campaign according to the amount of points they have earned. Then we will continue to the Facebook channel, then LinkedIn channel etc. To summarize, the points earned in each campaign will NOT be pooled together but rather the tokens in each category will be divided in each category separately. The information about points already earned is displayed in your DEEP AERO account. It is updated every 72 hours. You will see your DRONE tokens in your ETH wallet once all the points have been counted. This will happen after the DEEP AERO ICO has ended. If you have any questions regarding the bounty campaign or if you need assistance, feel free to contact us at bounty@deepaero.com and we will be glad to help. You can also contact us on the DRONE Bounty Program Telegram Channel.